If you have had a pleasant experience doing business with someone or an organization, it is a professional ethic to thank them. 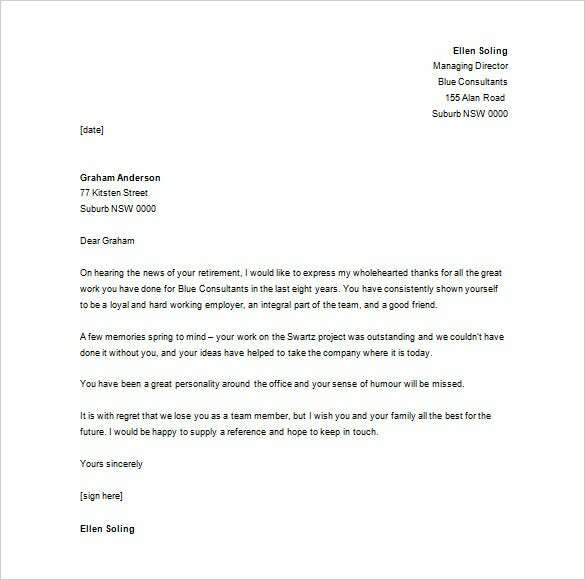 However, it is important that you follow the style and tone of a professional business letter format maintaining a sense of gratitude at the same time. That should not be a big deal if you download the perfect template and have an example to refer from. 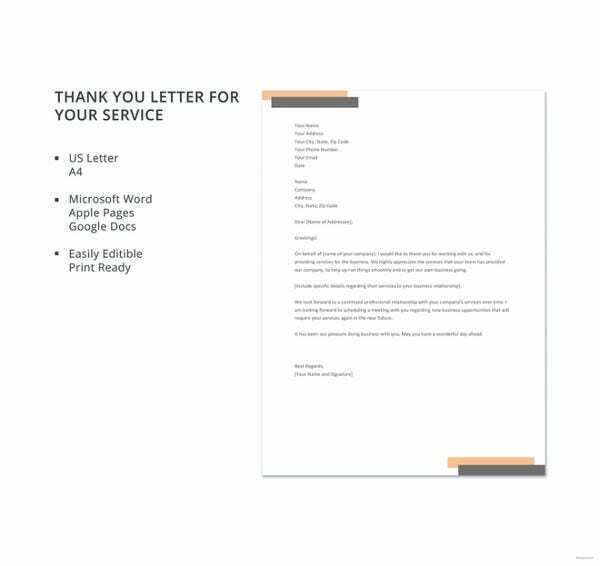 You can also see business thank you letter templates. What is more, saying thank you is a way to re-energize your being. Gratefulness gives you genuine joy which you will spread to other people through association. 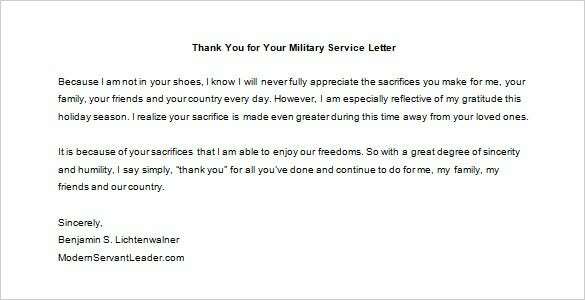 Download this template and use it to send a special thank you. 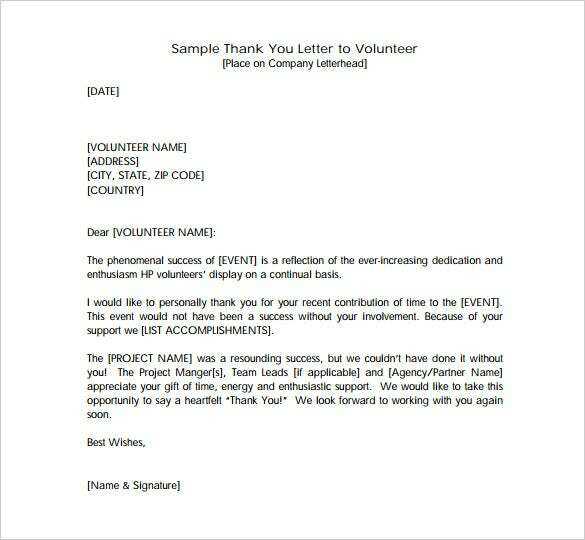 You may also see sample formal thank you letters. Being able to be grateful is an affiliated to unconditional universal adoration because you will be appreciating nature that is global. 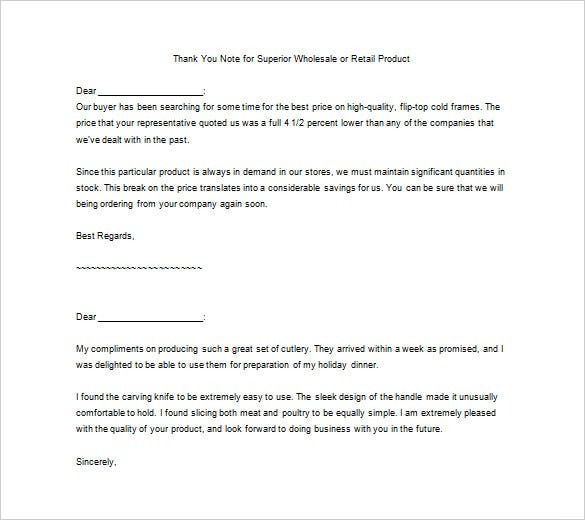 Use this template to send a thank you note today. 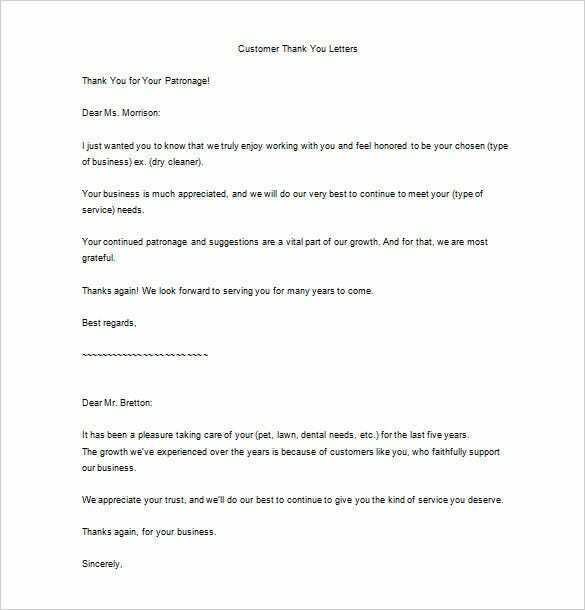 These business letter templates have the most professional format which makes it very easy for you to write crisp and perfect thank you letters for services. 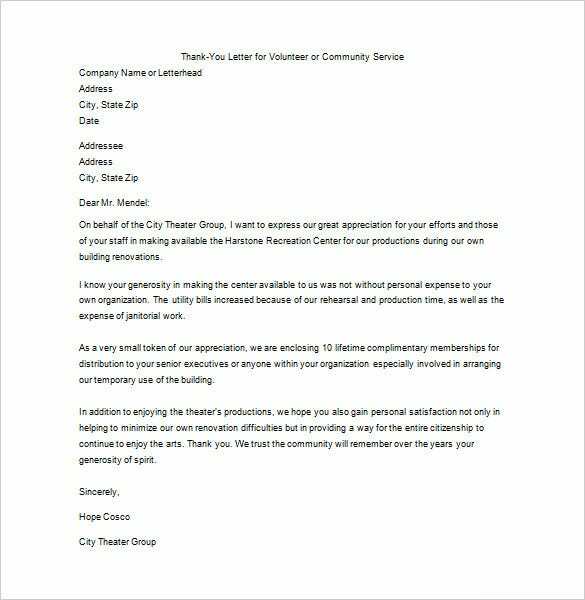 These thank you letter templates are easily available EPS format making your work much easier when it comes to maintaining great business relationships. 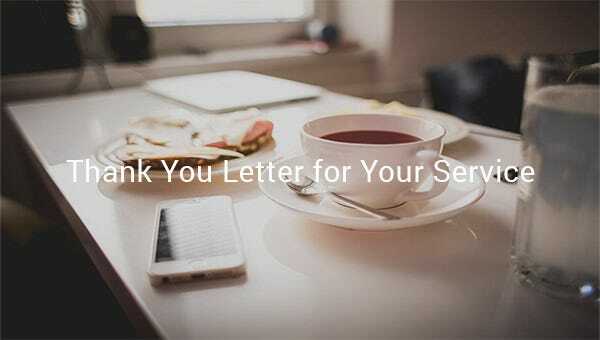 There are plenty of samples to choose from when it comes to Thank You Letters and they are free to use.